Factors of Class-Elitism in Anne Ranasinghe’s Poetry: In Defense of Some Opinions Fielded by Dhanuka Bandara. 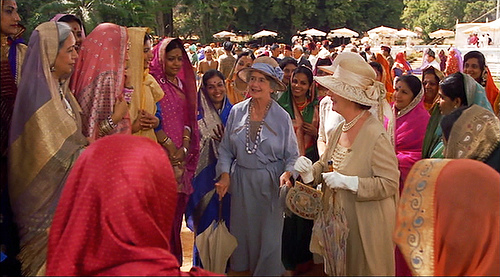 A still from the film based on EM Forster’s “A Passage to India”: Mrs. Moore in discovery of the “real India”. I believe that to underline Ranasinghe’s poetry as coming from an elitist window is to state the obvious. Where a discussion of Ranasinghe’s poetry does not make us meditate on the indelible World War II connection, what stands out is the class-dimension of the writer’s own subject position. For Ranasinghe’s poetry, often — if not always — recorded from the first person view point, heavily dwells on the personal and the private. Even in the more popularly read “Holocaust Poems”, the inroads into the past are essentially made through the retrospective tendency of the first person narrator, making Ranasinghe’s point of reference inevitably too closer to the ego. What kind of outlook does this freeflowing ego, then, represent? Even in the much quoted “Holocaust Poems”, one forgets that Anne Ranasinghe, in person, was not a first hand victim of the violence she speaks of in vivid and graphic terms. These are all mere ruminations where her personal grief, the memory of loss and her creative faculties come together to prompt. Staying with the “classist” and “elitist” claims Dhanuka levels against Anne Ranasinghe — the rebuttal Ranasinghe can throw at Dhanuka is as to what is wrong with her being elitist; or, as to what else she can be than the supra-elite writer she is? If Ranasinghe is to unlearn her culture and to unburden her class, she might as well undo herself from the grievous memory of World War II, the stab wound of which keeps her in search of that sublimatory outlet of poetic composition decades since Hitler. To think otherwise is to delude one’s self and for Ranasinghe — who, as Dhanuka quotes, has a firm grip on Buddhist doctrine — such delusion would be ironical and unbecoming. To sustain Dhanuka’s analysis — which draws from just two of Ranasinghe’s poems, “At What Dark Point” and “Plead Mercy” — let us consider a few random instances from Ranasinghe’s extensive corpus. 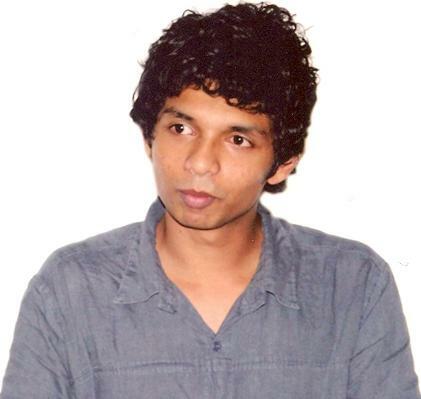 The poems I would like to use in supplementation of Dhanuka’s stance are “Polonnaruwa” (1979), “Dambulla” (1979), “Hot Season” (1973) and “The Fiddler of Kollupitiya” (1970). All of these poems are written in the same decade as “At What Dark point” (1970) and “Plead Mercy” (1974), to which Dhanuka makes reference. The subject of “At What Dark Point” is stimulated by the poet’s/Ranasinghe’s persona (?) spotting a “sinister” (looking) man who sits on the other side of her plush, residential Colombo house-fence and knots a jute rope. She, the persona, is alarmed at this man’s presence, which makes her memory run torrent and transport her to the World War days of Nazi terror. Neurotic, melodramatic and burlesque-ridden as the transportation may sound, one may — in spite of the paranoia being caused by a single man seated at a democratic distance — justify the turbulant mind of the narrator as a result of war’s deep scars that dig deep into one’s mind. A scratchy tune upon his violin. Similar to “At What Dark Point”, the subject of the poem is seated at a suitable / befitting distance from the holier-than-him observer (the narrator) and is readily gazed upon and objectified from that class-superior position of the latter. Again, similar to the Holocaust Poem, the direction and definition of the object is essentialized and categorically stated from the same superior vantage. Even the man’s emotions / feelings — whether he is happy, sad or otherwise — are readilly and assuredly pronounced. The comparison of the neck to “chicken skin” comes too easilly, in spit of its insensitive and dehumanizing implications. The man sits by a “rough” plank stall, but is yet “happy”. The poor and the destitute, in the elite eye, finds happiness in spite of surroundings in their own music. The music, here, is referred to with what, on the surface, appears as a positive value assignment. But, in fact, what Ranasinghe doles out here is the consideration and sympathy of the elite when seeing at passing distance the suffering poor (as it is in “Plead Mercy”). This is merely a text book gesture, and the appreciation of the music is not the same as the persona would appreciate Mozart, Beethovan and the like. “In the ancient forest Monkeys watch with wise eyes. Such silence under the old trees”. What ensues is a tourist-brochure type description with exotic insertions of birds, clouds, water, and the like. In fact, Ranasinghe gets lost in her own exotic amalgam that there is a transition of sorts towards the closing lines of the poem where concreteness in syntax blurs and a flux that transcends grammar takes over. Yet, the pseudo-mystical, reverant ambiance Ranasinghe strives to create through her Baedeker-type lingo only illustrates how airborne she is from level zero. In “Dambulla” — a poem not much different from “Polonnaruwa” — we come across strategically placed “flinty dust”, and two snakes who dance in the “shimmering heat” (as they “sway in an oblivion of reedy piping”) to the music of a “dark skinned piper”. This “dark skinned piper” is not far removed from the “skeletal man” in “At What Dark Point”, as he presses his “bare feet” to force the snakes into the “darkness” of a basket. The snakes “writhe and heave their impotent rebellion”. Here, without too much difficulty we have a scene from a Rudyard Kipling novel or an EM Forster set piece from Chandrapore. Anne Ranasinghe’s persona, the recorder, turns to “climb the rocky slope / worn smooth by many worshipping feet”. 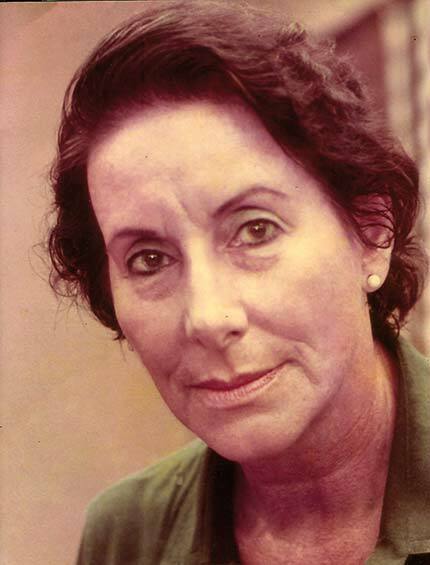 As Adela Quested and Mrs Moore in Forster’s A Passage to India deemed to see the “real India”, so walks on Ranasinghe’s persona. “Hot Season”, defying all guesses, is set in a humid season which — once again — is detailed through an exoticizing agenda, using words and phrases that denotes an alien. However, the concluding lines of the poem detains my attention as what the “hot season” ultimately reminds the narrator is of a “black night / of a European Winter”. The “hot season”, in other words, is the stirring of nostalgia for the lack of that season: what the far away European front — the “home reality” — of its own has to offer the anxious soul. This anxiety is a colonial tendency felt by many colonialists and aliens while stationed in faraway outposts such as Ceylon/Sri Lanka. This factor being found in Ranasinghe, who, by 1973, is a migrant to Lanka takes an intriguing line when read in the light of Dhanuka Bandara’s thesis. Likewise, if one is to take Anne Ranasinghe’s corpus for close consideration, her classist and elitist outlook, conjoined with a sense of being not well and truly integrated with the community and the wider culture can be easilly located. Her “alien status” and her anxiety in empathizing with the local non-elite is not an unobvious aspect of her writing. A critical reading of this migrant writer (to Lanka) can only enrich the discourse of Lankan poetry in English, of which Ranasinghe is often taken as a vanguard. This article is subtitled “In defense of Some Opinions Fielded by Dhanuka Bandara”, merely for the effect of things. As it is, Dhanuka’s view needs little re-assurance. ← Richard de Zoysa: The Poet in the City in that Decade of Terror.